Five Things to Know about Advance Care Planning – An advance directive is a written statement of your wishes, preferences, goals and values regarding end-of-life health care decisions. Watch this video to learn tips and advice about advance care planning. Five Signs It Might Be Time to Talk About Hospice Care – When is the right time for hospice care? Each person and diagnosis is different, but there are general signs that indicate an individual may meet the medical guidelines for hospice care. Watch this video to learn about the indicators. Five Ways to Handle Things Left Unsaid – Although there will always be one more thing we wish we’d said, there are ways to allow ourselves a little grace. We each deserve that peace. This video offers suggestions for handling the complex emotions that may result from a loss. 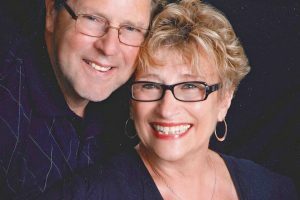 Five Things Hospice Taught Me About Living – One of our hospice chaplains shares the lessons he’s learned about how faith and life are intertwined, and how faith is essential to living life to its fullest and best. 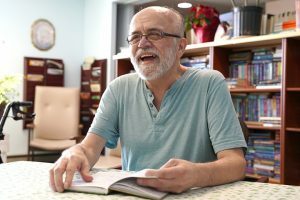 This video shares five things hospice has taught him about living. Five Tips for Coping with Grief During the Holidays – For people who are grieving, the holidays often bring a mixture of emotions and feelings. During this time, it is important to do only what feels right to you and your family. Here are five tips for coping with grief during the holidays. Five Tips for Talking With Your Loved One About Hospice Care – Talking about hospice care does not mean there is nothing else to be done for your loved one. It can actually be comforting to know there is another source of help and support. Discussing hospice gives your loved one information about all the options available. Five Ways to Honor the Memories of Our Loved Ones – A visit to the cemetery to plant flowers or place a flag is certainly a fitting way to remember a loved one. But using a little creative thinking, you may come up with other ways – things that remind you of their personality or passions, or something unique to the relationship you shared. By honoring the memories of our loved ones while you grieve, you can work toward healing and carry forward a lasting legacy. Meet the Hospice Care Team – Our interdisciplinary care team is made up of highly-skilled professionals who address the physical, emotional and spiritual needs of patients and their loved ones. They provide medical and personal care, emotional support, spiritual care, volunteer support and grief support. Five Tips for Visiting a Terminally Ill Loved One – When someone you care about or love has been told they have a few days, weeks or months to live, it can be difficult to accept and deal with that reality. You may feel at a loss for what to say or do, which can lead to an avoidance of the terminally ill person and feeling like you can’t do anything to make the situation better. This video offers some suggestions that may help you stay connected with your loved one who is dying. Five Tips for Writing a Sympathy Note – Most of us want to reach out when someone we know loses a loved one. Writing a sympathy note isn’t easy, but it is important. And taking a few moments to hand-write a heart-felt note is meaningful to those who are grieving. Here are five tips to use when writing a sympathy note. Five Common Myths about Hospice Care – Despite its many advantages for both patients and their families, hospice care is widely misunderstood. More often than not, hospice is synonymous with death, when in reality its purpose is to enhance life. Here are five of the most common myths about hospice care and the facts. Five Benefits of Volunteering – Volunteering doesn’t just benefit the organization you are involved with; it benefits you, as well! Learn about five of the biggest benefits of volunteering in this video. Five Things Hospice Social Workers Do for Patients & Families – Hospice social workers help patients and their loved ones in a variety of ways throughout the end-of-life journey. They educate, listen, advocate, engage and guide. Five Tips to Prevent Caregiver Burnout – Coping with the strains and stresses of caregiving can be a challenge. It is important to pay attention to your own needs; otherwise, symptoms of caregiver burnout and fatigue may quickly arise. This video offers five strategies to help prevent caregiver burnout. Five Things I Wish Someone Would’ve Told Me About Grief – When grief enters our lives, our world changes. Grief impacts each individual differently. We grieve according to our needs, and those needs continually change. This video highlights five important things to know about grief. Our grief specialists can provide information and support to help you deal with loss.